Classic Wine Imports, Boston MA. Peering through a translucent screen and the wine has a kind of manic stillness; bracing penetration allied to a sweeter, fondueing mix of brown butter, turkish delight and caramelized lime. Concentrated and long and there’s a silvery-green gurgle of salt-water freshness at the end. Now – 2022+. Straw with a hint of emerald. An understated intensity; this is coiled like a reactor, a wine in nebulae form. Locked-up yet refined intimations of nori, oyster-shell, iodine, citrus … but the overall impression is ozonic, magnetic and mineral-reductive. By day three, this becomes less inward and more expressive: a white iris florality with incisive, sève orchard fruit coming to the fore. 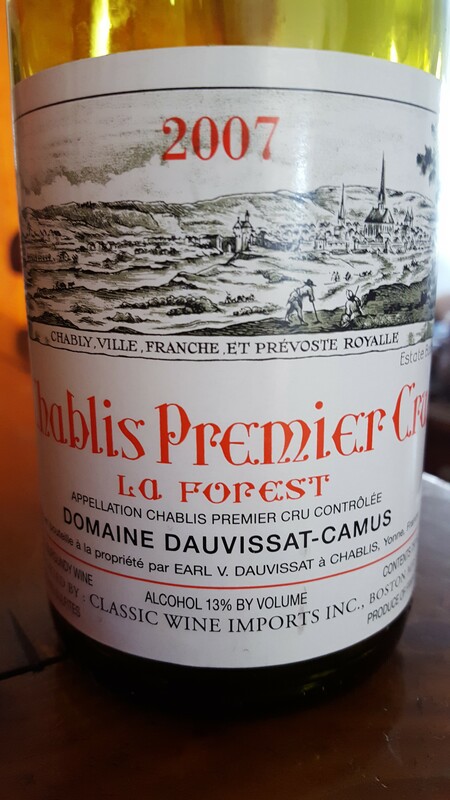 A Dauvissat so focused the experience resembles an unblinking staredown; best to give this more time in the cellar. From 2015+.